Black Friday 411 - The Mrs. & Co. Ever since having kids having the chance to go out and Christmas shop has become... well... impossible. Online shopping has become my new best friend. I know some people LOVE the hype of waiting in lines for Black Friday. And I'm over here like "I'm good sitting here on my computer enjoying Black Friday and Cyber Monday from the comfort of my couch." So here's my top 3 round up of the Black Friday sales that I will be partaking in. And the great thing is that most of them have already started. Time to get a jump start on shopping! 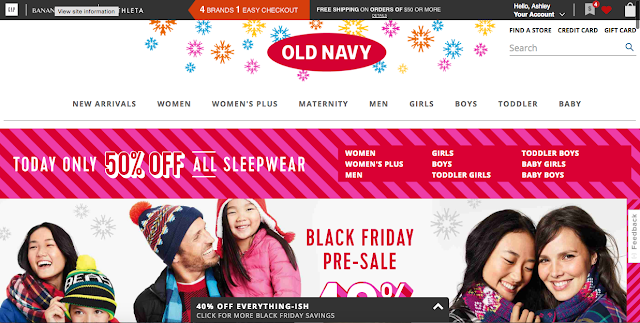 First up, Old Navy. 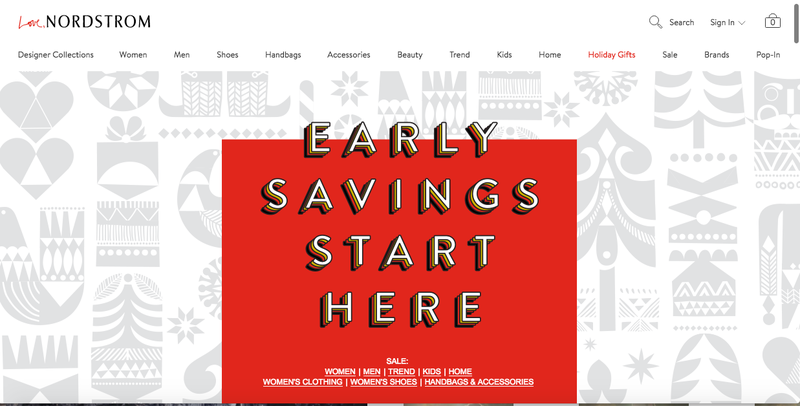 It is my go to for buying clothes for pretty much the whole family for Christmas. Right now all pajamas are 50% off and the whole store is 40% off. I can't even imagine what the Black Friday sale will be when the prices are already so great! Next up is Nordstrom. I love hitting up their Black Friday Sale for jewelry. Especially Kendra Scott. During last year's sale I scored jewelry for $25-30. Such a good deal! Right now they have already started their sale with some items up to 40% off. Can't wait to see the rest of the deals. And last up is Amazon. I bought most of my presents for my family here last year. From toys for Raegan to workout clothes for my dad. They had it all! And let's be real. 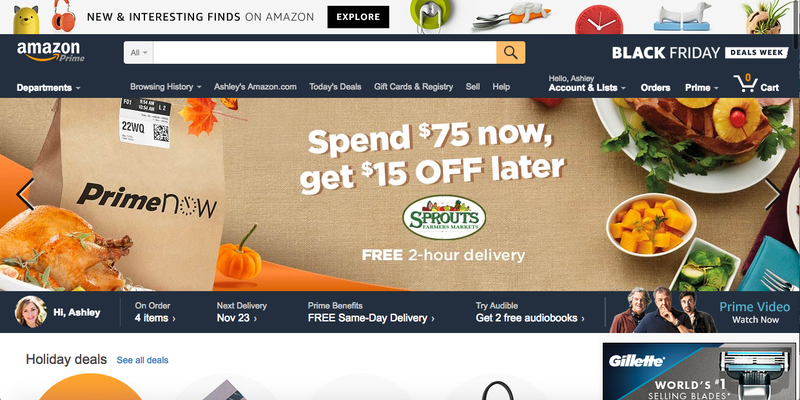 Amazon's prices are always amazing, but the Black Friday deals are going to be sweet. On top of scoring amazing deals I also learned about an amazing way to save even more money while online shopping. 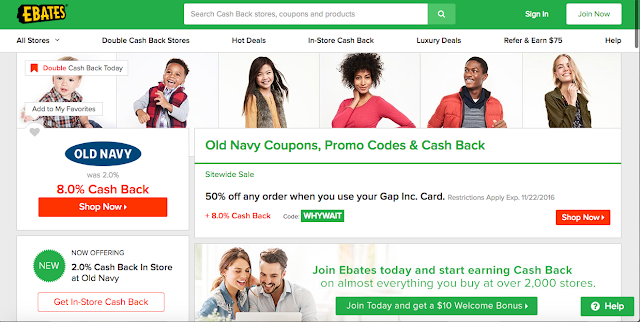 Ebates. It's seriously the coolest thing since sliced bread. You shop at your favorite online stores, earn cash back for your purchases, and receive a big fat check straight to your Paypal account. In one year I've earned over $250 just by using Ebates. Honest! 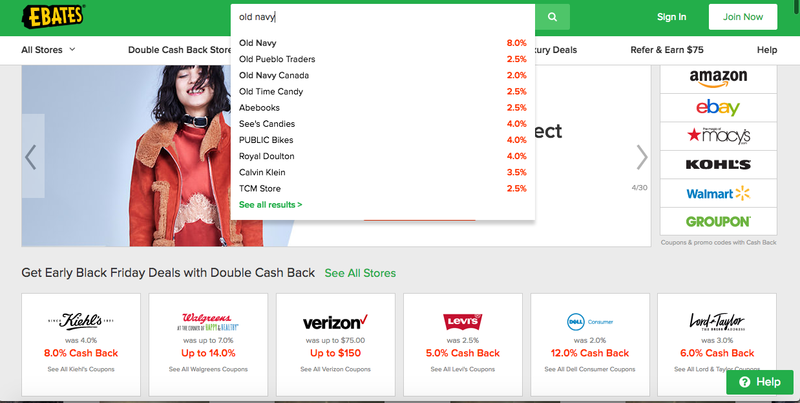 Search the store you are looking for and it'll tell you the cash back they are offering at that time. Then click the store. Once you are on that page, click "shop now" and you are set to go! You can even shop from your smart phone by using the app. 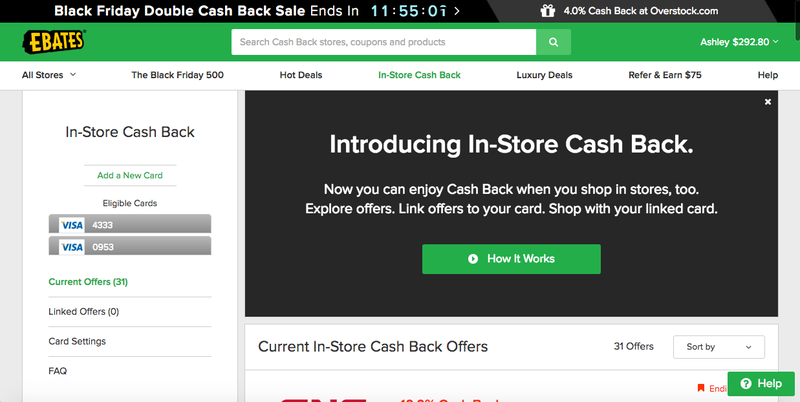 Now at the beginning I kept forgetting to use Ebates when I would shop online, but they have this nifty gadget you can add to your web browser to help remind you. 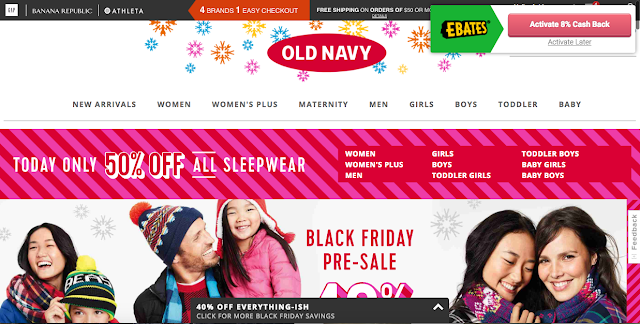 So when I open up Old navy's website to go shopping this amazing little button pops up in the top right hand corner to help remind me to use Ebates. And if the website doesn't use Ebates it'll tell you that too. And if you want to earn cash back while shopping in the stores, just link your cards and voila! Making cash back no matter how you shop. 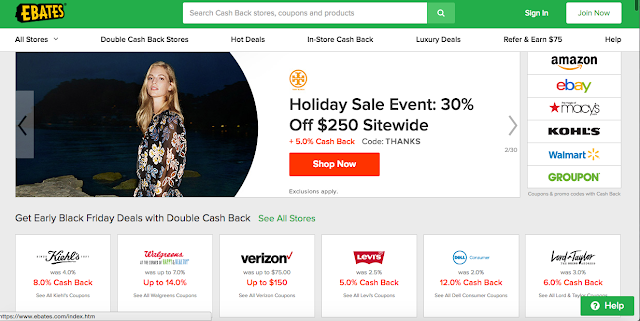 Also right now as part of Ebates black friday sale (only through today), they are doing double cash back at pretty much all their stores so you can earn more money! It's seriously the best ever. If you have any questions, don't hesitate to ask! Want to earn $10 back right away? Sign up here to get started!